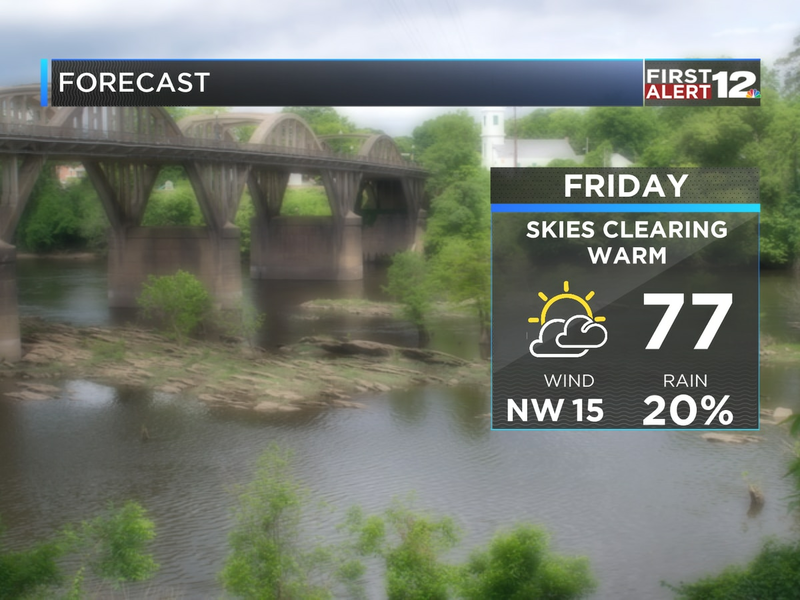 MONTGOMERY, AL (WSFA) - Enjoy the drier weather Friday; rain returns in time for the weekend. 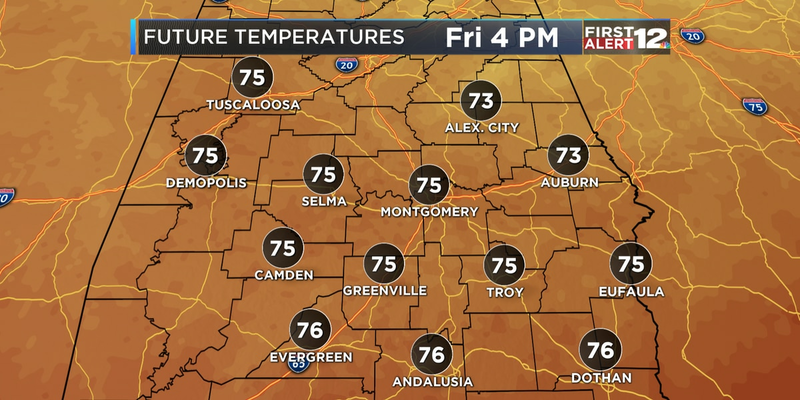 Friday will be cool with highs in the mid 50s. Clouds will steadily increase throughout the day, with a few scattered showers Friday night into Saturday morning. Then, Saturday afternoon into Saturday evening, a large mass of heavy rain and perhaps a few embedded thunderstorms will overspread Alabama. *It will not rain all day Saturday. Much of Saturday morning and perhaps even early Saturday afternoon could be dry, with only a small coverage of showers. * Then, Saturday afternoon into Saturday evening, a large mass of rain will overspread the state. It will be a windy, cold, soaking rain that lasts through starts Saturday afternoon and lasts through Sunday morning. Then, the widespread rain gradually fades into leftover scattered showers Sunday afternoon. 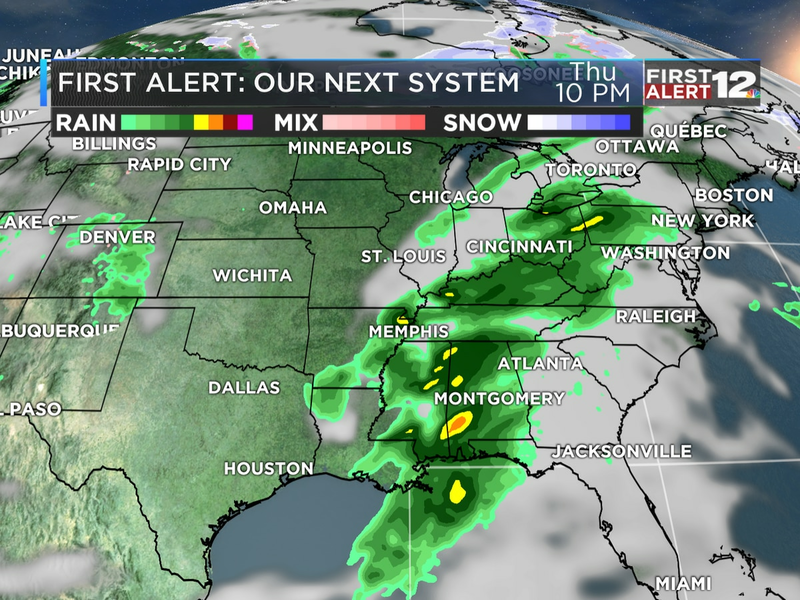 Rain becomes widespread by Saturday afternoon. Drier, but colder air returns for Monday and Tuesday, with highs in the upper 40s and lower 50s, and overnight lows dropping back into the low/mid 30s for Monday and Tuesday.